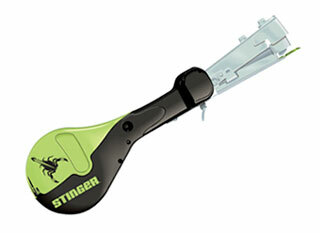 PRODUCT: National Nail #136400, CH38 "Stinger" Plastic Cap Hammer Tacker Stapler. Price/Each. National Nail #136401, CH38A AUTOFEED 'Stinger' Plastic Cap Hammer Tacker Stapler. Price/Each.